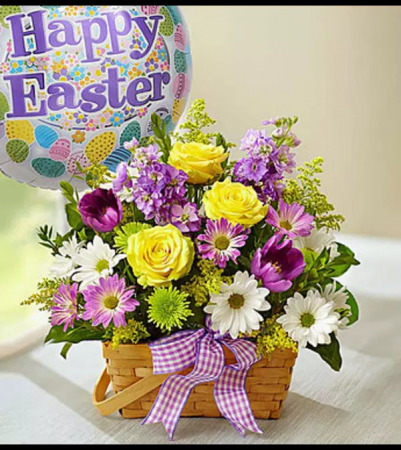 The vernal equinox is a time of celestial occurrences; and a gift of Spring Equinox flowers is sure to create a heavenly reaction in anyone who receives it! 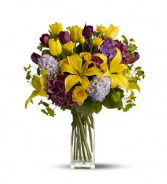 With its bright blend of lilies, tulips, roses and more – in divine shades of sunny yellow and dusky lavender – this tall, boldly colorful bouquet of flowers is a blissful choice for any springtime occasion. 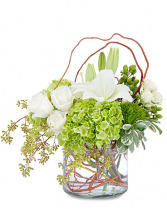 Send them on a flight of fancy with our truly original butterfly arrangement! Three butterfly-shaped gatherings of pastel carnations and statice arrive nestled on a bed of fresh greens, designed by our expert florists in a reusable green tin planter. 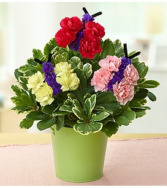 A fun and colorful gift for birthdays, housewarmings or new beginnings.